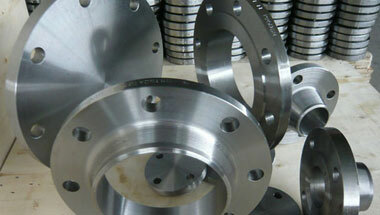 We are Supplier & Exporter of Inconel Alloy 600 Pipe Flanges, Inconel 600 Slip on Flanges, Inconel 600 DIN Blind Flanges, Inconel Alloy UNS N06600 Plates Flanges Manufacturer in India. Under guidance of our skilled professionals, we Neon Alloys are engaged in manufacturing and exporting of Inconel 600 Flanges. These Inconel Alloy 600 flanges are extremely resistant to heat & corrosion and hence is widely used in various furnace hardware, gas turbine engine ducting, combustion liners, spray bars, chemical plants, seawater applications,& engineering processes etc. These flanges are widely used in various application industries like Chemicals, Fats, & Fertilizers, Sugar Mills & Distilleries, Cement Industries, Ship Builders, Paper Industries etc. ASTM A564 Inconel 600 Flanges, Alloy 600 Orifice Flanges, Inconel WNR 2.4816 Forged Flanges, Alloy 600 Socket weld Flanges, Inconel 600 ANSI/ASME B16.5 Reducing Flanges Supplier in India. Sudan, Ethiopa, Brazil, Democratic Republic of the Congo, Peru, Thailand (Bangkok), Malaysia, Mozambique, Azerbaijan, Uganda, United States, Australia, Germany, Indonesia, Vietnam, Cameroon, South Africa, Mexico, Colombia, Saudi Arabia, Russia, Kuwait, Bahrain, Angola, London, Kazakhstan, Ghana, Argentina, Houston, Tunisia, Morocco, UK, Iran, Algeria, Chine, Italy, Jordan, Trinidad and Tobago, Nigeria, Canada, Africa, Dubai, Turkey, Iraq, New Zealand, Egypt, Israel, Venezuela, UAE, Sri Lanka. Pretoria, Kaduna, Ibadan, Luanda, Kolwezi, Mecca, Maputo, Mogadishu, Bamako, Lusaka, Omdurman, Freetown, Data from the UN, Kampala, Hong Kong, Johannesburg, Antananarivo, Dammam, Cape Town, Dakar, Port Harcourt, Istanbul, Mbuji-Mayi, Nairobi, Byblos, Colombo, Accra, Bethlehem, New York, Yaoundé, Lubumbashi, Doha, Casablanca, Amman, Durban, Beirut, Fez, Singapore, Alexandria, Aqaba, Ouagadougou, Kano, Douala, Khartoum, Maiduguri, Subra al-Haymah, Sharm el-Sheikh, Cairo, Addis Ababa, Tripoli, Zaria, Jeddah, Abidjan, Brazzaville, Tel Aviv, Giza, Kinshasa, Benin, Rabat, Lagos, Cairo, Jerusalem, Port Elizabeth, Dubai, Abu Dhabi, Conakry, Dar es Salaam, Harare, Tehran, Muscat, Riyadh, Bulawayo, Algiers, Manama, Soweto.